Does a 4-H member forget 4-H experiences? Does a 4-H member forget what they learned throughout their time as a member? Or does 4-H stay in an alumni's heart forever? 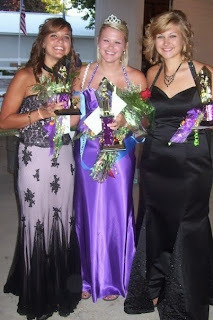 We thought we would find out asking former 4-H member, Nikki Seehusen of Pocahontas County. 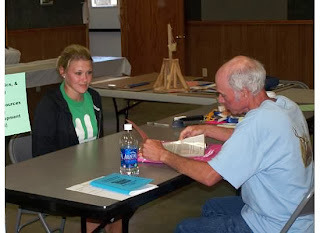 A: I was a nine-year 4-H member of the Guys & Gals of Grant 4-H Club in Pocahontas County. Every year I took static and livestock (sheep and cattle) exhibits to the fair. I did educational presentations and working exhibits as well. I was fortunate enough to have some of my exhibits and presentations advance on to the Iowa State Fair. There were numerous committees I was involved in at a 4-H'er and I held many offices in my 4-H club and for the Pocahontas County 4-H Council. In 2009, I competed in the Pocahontas County Fair Queen Pageant and was honored to be crowned queen and represent my county at the State Fair. A: 4-H is about setting goals and working towards those goals. At fair time, 4-H'ers receive the opportunity to present projects showing their hard work and success at reaching their goals. It’s about learning communication skills and service to others. 4-H allows youth to spread their wings and learn what their interests are by trying new things. A: 4-H has taught me how to set goals to be successful. It has helped me to see how my individual and community responsibilities relate to the big picture. By working with others, I've seen my goals become successful. 4-H taught me how to be a strong and confident leader. By being put in a variety of leadership positions throughout my 9 years in 4-H, I learned how to improve myself, how to be organized, how to work with others through developed social and communication skills and how to plan and prepare events and activities. I have taken these skills with me to college and will continue to use these skills on the job and in my future career. A: Because of the way 4-H has challenged me, I've seen my skills put into action. Because of those goal cards, I've been able to write better papers and set goals for myself. I give credit to all those educational presentations for my ability to get in front of my college classes and give a speech with great eye contact. My 4-H experiences have prepared me for times when the stakes are higher. 4-H scholarships have helped to fund my education so I can spend more time concentrating on my studies. A: Awareness. National 4-H Week is about sharing our success as individuals and as a whole program. Through that awareness, we encourage new members to enroll in 4-H. As a 4-H'er, I thought of it as a chance to show off all my hard work and highlights of my year. 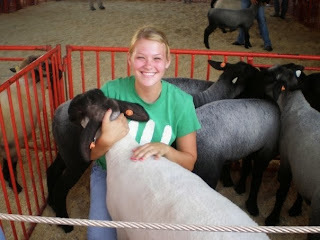 A: I can’t believe I’m saying this, but showing sheep is my favorite 4-H memory. There was nothing worse than having to wake up early to feed or walk my sheep in preparation for the fair. Actually, cleaning out the barn after the fair when it was all over was the worst. But, there was nothing more rewarding than watching all that hard work pay off at the fair when I received Pen of Three Champion, Individual Market Lamb Champion and Senior Showmanship my final year of 4-H.
Q: What does the Iowa 4-H Foundation mean to you? A: The Iowa 4-H Foundation provides funding for clubs at the local and state level. The foundation gives the youth opportunities to use their gained leadership, communication, social, skills to meet their fullest potential. Thank you, Nikki, for taking the time to talk to us about your 4-H experiences. We enjoy hearing stories about how 4-H has left a lasting impact on youth. If you would like to share your 4-H story, please e-mail Brooke Young at brookey@iastate.edu. We would love to hear from you!